What makes Digit Art Designs Ltd unique is our integrated seasoned team of developers, designers, usability, conversion optimization & digital designers that work together to ensure your website meets your clients’ needs and exceeds your goals. Call us now to get a quote @ 604-523-0120. Even experienced web designers and developers will readily admit that implementing even a fairly basic Ecommerce web platform including ecommerce web design can quickly become a complicated nightmare. Shopping cart solutions like Magento, Prestashop, Volusion or even Shopify can take quite a bit of time to set up and configure. We are ready to help you with the next ecommerce web design and development. Difference in Ecommerce web design, development solutions between Hosted Ecommerce providers and us. Each store is different, and has different approach on how is functioning. 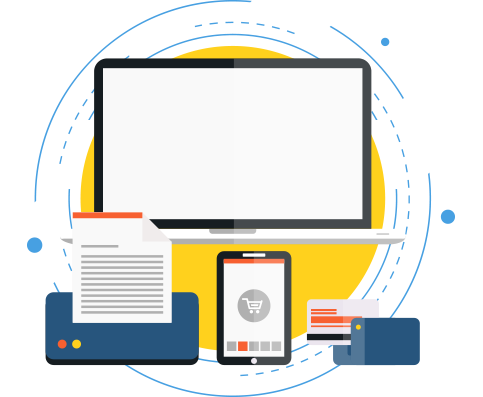 Unlike Hosted Ecommerce web design and development providers, we offer custom web design, development and programming for each type of business, and we are focusing on your online business. With our powerful Content Management System built on CodeIgniter framework and inventory system including daily, monthly sales reports, managing your online store have been never easier. All of Hosted Ecommerce web design and web development providers offer you templates to choose from for your store (you have to purchase them). With Digit Art Designs Ecommerce service, you will have a unique custom website design for each store and it is targeting your audience and it is designed based on your business profile and your specifications.